Microsoft kicked off the modern 2-in-1 form factor in 2012 with the original Surface, and since then it’s improved the design and performance of the line through a series of annual updates. 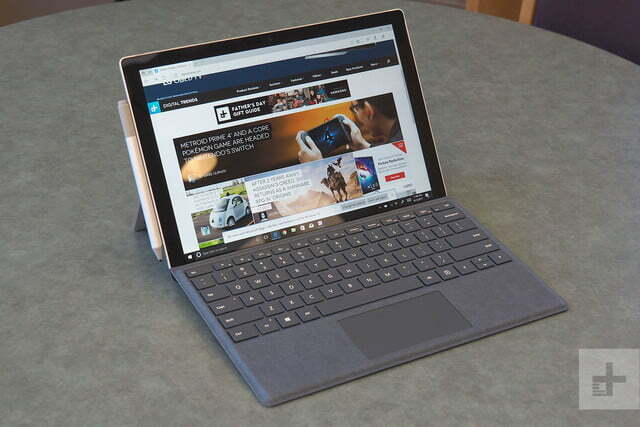 The most recent model is the 2017 Surface Pro, which replaced the popular Surface Pro 4 to become the reigning champion of the detachable tablet market. Microsoft’s OEM partners haven’t stood still, however, so we decided to compare the Microsoft Surface Pro to the Asus Transformer Pro T304 to see how well they’re doing. If you’ve taken a look at the two machines side-by-side, then you’ll notice a striking resemblance. Asus borrowed liberally from Microsoft’s Surface design cues, resulting in a detachable tablet that is the spitting image of the Surface Pro. But they’re not the same inside, where it counts the most. 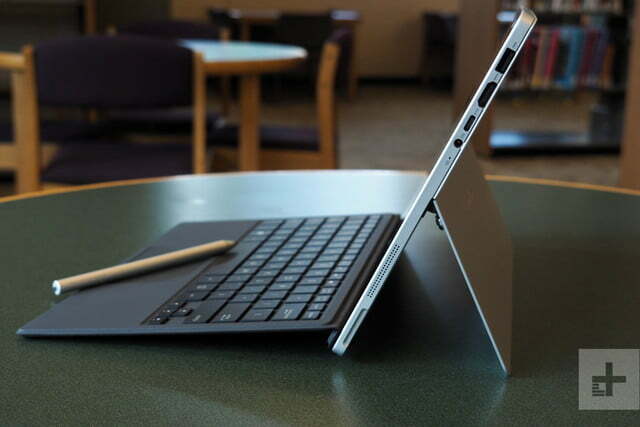 So is the Microsoft Surface Pro or the Asus Transformer Pro T304 right for you? Read on to find out. 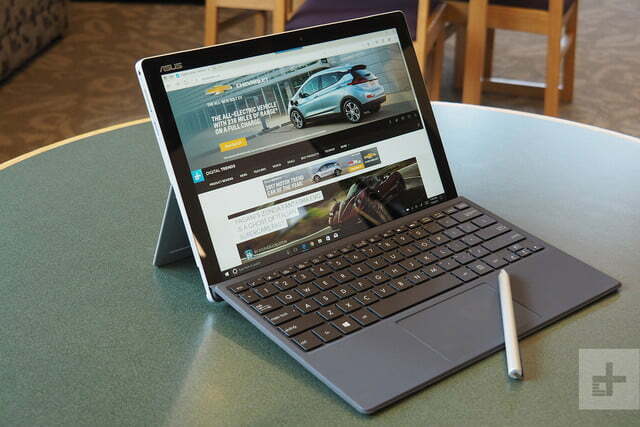 If imitation is the sincerest form of flattery, then Microsoft should take the Asus Transformer Pro T304 as a serious compliment. Simply put, the Asus tablet and the Surface Pro look remarkably similar — to the point that you’d be hard pressed to tell them apart from more than a few feet away. Both posses the same silver sheen, both use nearly identical flip-out kickstands, and both connect to similarly-designed detachable keyboards. But looks can be skin deep, and that’s the case here. 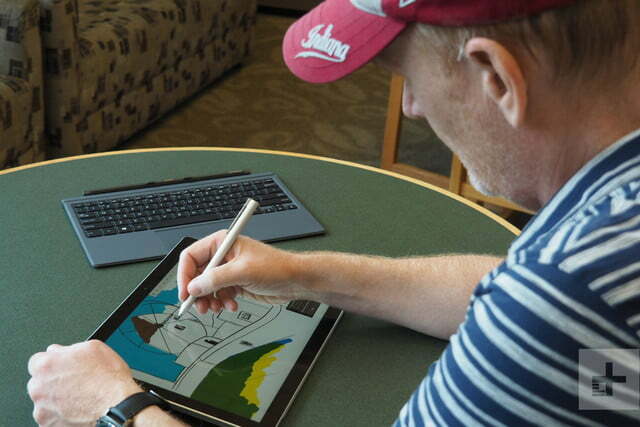 The Transformer Pro T304 isn’t a poorly-built machine by any means, but the Surface Pro is simply on another level. It maintains a special place at the very top of design and build quality, one that was previously only occupied by Apple’s MacBook Pro line. Its lines are clean, its edges are smooth, and when you hold it in your hand it feels like a hunk of metal fused with a slab of glass. 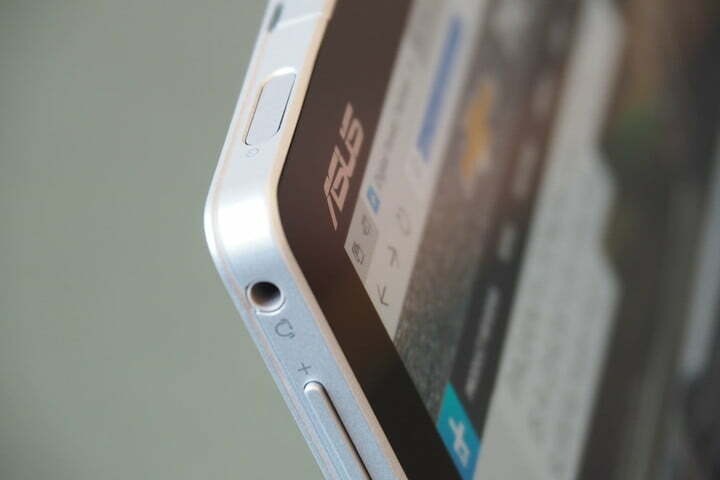 The Asus Transformer Pro T304 is also a solid machine in its own right. 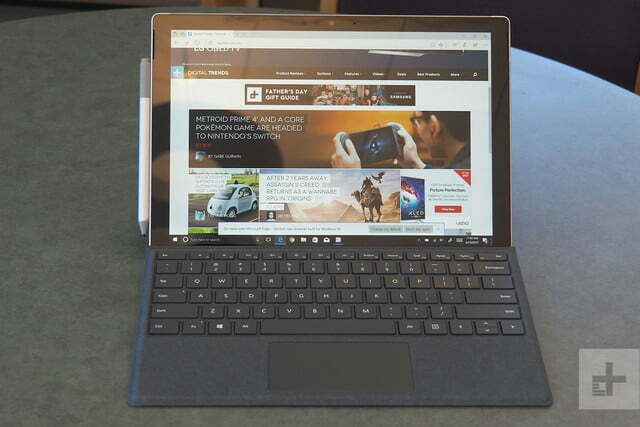 But its design isn’t as clean, being marred by more connector ports — although of course, that’s a good thing — and it doesn’t provide quite the same feeling of solidity afforded by the Surface Pro. Most telling, the Transformer Pro T304’s hinge just isn’t as smooth as the Surface Pro’s, and it doesn’t quite exude the same aura of superior engineering. Again, we have to stress: The Transformer Pro T304 is a quality machine. 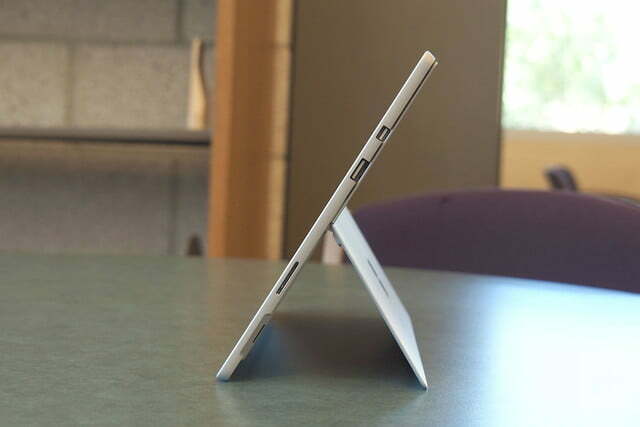 The Surface Pro is just in a class all by itself when it comes to detachable tablets. 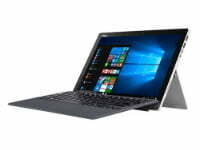 Asus lists a variety of configurations for the Transformer Pro T304, from a seventh-generation Core i3 processor up to a Core i7 and various RAM and storage options. In reality, though, there are currently only two versions available for purchase. There’s the model with a Core i7-7500U, 8GB of RAM, and 256GB SATA solid-state drive (SSD), which we reviewed, and then a special version offered at wholesaler Costco that ups the RAM to 16GB and the SSD to 512GB. 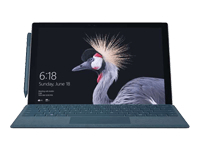 The Surface Pro is available in a range of configurations as well, from a low-power seventh generation Core m3 processor up to a Core i7-7660U, up to 16GB of RAM, and up to 1TB of PCIe SSD. All of those configurations are actually available for purchase, meaning you have far more flexibility when it comes to designing the model to meet your performance needs. In addition, the Core m3 and i5 models are fanless, offering up the extra benefit of silent operation. When comparing the performance of the two machines, the Surface Pro’s Core i7-7660U naturally comes out on top. This was particularly true in our real-world benchmark test that converts a 420GB .MP4 video to H.265 format. The Transformer Pro T304 took 1,453 seconds to perform the conversion while the Surface Pro took only 822 seconds — the fastest score we’ve seen in a laptop with a dual-core processor. That means that if you need top-level CPU performance, the Surface Pro is the better choice. In addition, the Surface Pro uses a faster PCIe solid-state drive (SSD) compared to the Transformer Pro T304’s SATA SSD. While both are plenty fast in booting, starting apps, and accessing and saving data, the Surface Pro is better when you need to access large amounts of data from storage. Overall, Microsoft packed higher level components into the Surface Pro and tuned them for better performance. The Transformer T304 is fine for typical productivity work, but it can’t hold a candle to the tablet performance leader. Both the Transformer Pro T304 and Surface Pro offer detachable keyboards that not only look the same (at least the Charcoal colored version that Asus provided with our review unit is similar to Microsoft’s Signature Type Cover), but they also provide similar typing experiences. This makes them equally good when it comes to entering copious amounts of information — both have crisp, responsive keystrokes with similar travel, both are equally quiet, and both suffer from some bounciness when the keyboards are magnetically attached at an angle. The Transformer Pro T304’s touchpad is slightly larger, but both use Microsoft’s Precision protocol and so are equally responsive and precise. In addition, both machines offer 10-point multi-touch displays that are flawless in registering touches and responding to taps and swipes. Finally, the Transformer Pro T304 and Surface Pro both benefit from active pens that allow for precise input for handwriting and drawing. 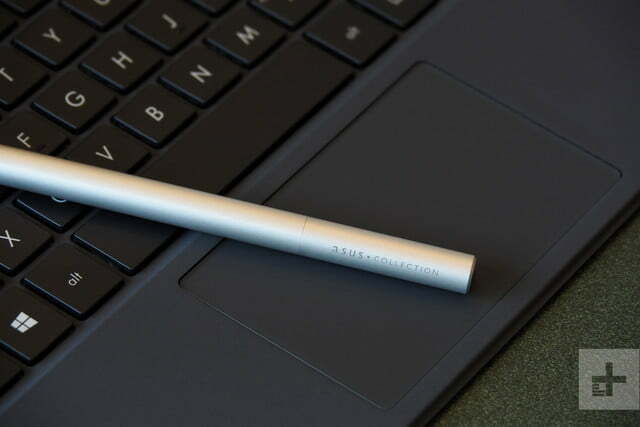 The Surface Pro pulls ahead here in that the newest Surface Pen offers 4,096 levels of pressure sensitivity compared to the 1,024 levels provided by the Asus version. 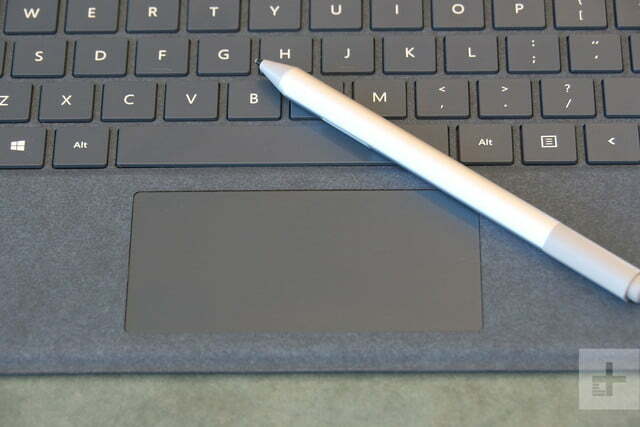 The Surface pen also offers tilt support, which the Asus active pen does not, and Microsoft incorporated a hardware accelerator that enables a mere 21ms of latency — second only to the latest iPad Pro Pencil in terms of speed in laying down ink. Type, touching, and swiping are therefore essentially the same on both machines. For users who primarily want to use the pen to handwrite notes on the screen and make simple sketches, both machines are again equally as good. For artistic types who need the most precise and responsive pen input, however, the Surface Pro provides a significantly enhanced experience. We’ll also mention that both machines support Windows 10 Hello for password-less logins. The Surface Pro uses an infrared camera and facial recognition, while the Transformer Pro T304 uses a fingerprint scanner embedded in the power button. Both work equally well, and so it’s down to preference as to which method is superior. Thanks to the more responsive and precise pen, we’re going to give the Surface Pro the win by the narrowest of margins. We’ll note, though, that both the keyboard and pen are included with the Transformer Pro T304 but are costly options with the Surface Pro. 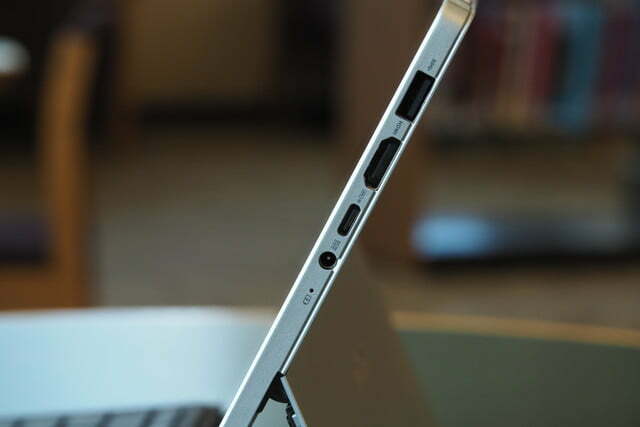 There are no two ways about it: Microsoft has a thing about USB Type-C ports. It just doesn’t like them. The Surface Pro, therefore, is stuck with the exact same legacy ports as the Surface Pro 4. There’s an old-school USB Type-A connector, a MicroSD card reader, a mini-DisplayPort, a Surface Connect port, a Type Cover port, and a headphone jack. If you want USB Type-C, then you’ll need to pick up Microsoft’s planned Surface Connect to USB Type-C dongle. Asus, on the other hand, managed to squeeze in a USB Type-C port to go along with USB Type-A, a full-size HDMI connection, a MicroSD card reader, a keyboard connector, and a headphone jack. That may not sound like much more when you’re simply counting connectors, but the addition of the forward-looking USB Type-C is a big deal for anyone who wants to look at more modern accessories. Microsoft’s reluctance to add a USB Type-C to its Surface device remains a point of contention among its fans and keeps the machines mired in the past. Asus, on the other hand, makes sure that no matter what accessory you need to connect, the Transformer Pro T304 can accommodate your needs. Score one for the contender. Microsoft’s Surface line is responsible for the growing popularity of the 3:2 aspect ratio, which makes the screen a little taller than the usual 16:9 widescreen ratio. This provides for improved productivity by showing off more of a webpage or document, while introducing a bit of letterboxing when displaying video. 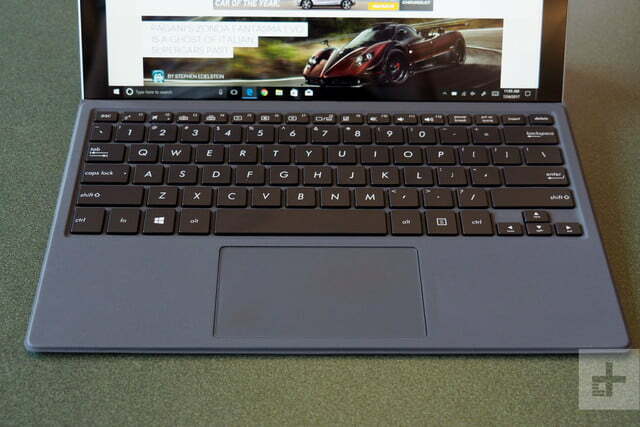 It’s a fair tradeoff, and the Asus Transformer Pro T304 has followed suit. Another trend that Microsoft helps push forward is the use of increasingly high-quality and high-resolution displays. Starting with the Surface Pro 3, Microsoft has been known to put excellent displays in its Surface machines that also ensure pin-sharp text and graphics. 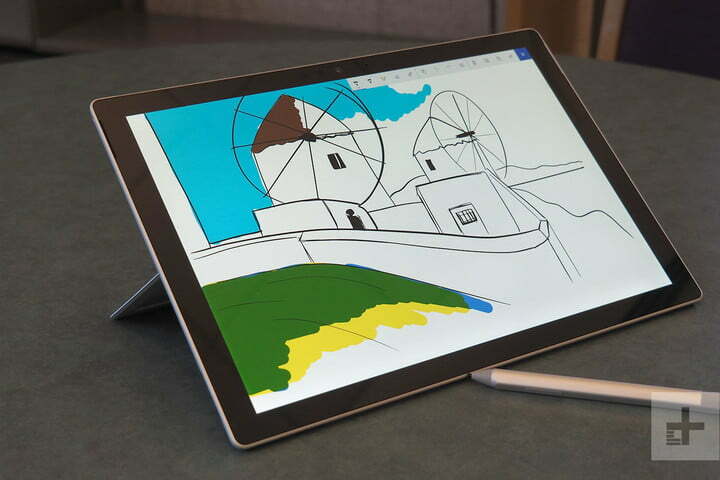 The Surface Pro maintains that pattern, offering a 12.3-inch PixelSense display with 2,736 × 1,824-pixel resolution (267 PPI) and excellent contrast, good color support, and high brightness. The Asus Transformer Pro T304’s display is larger at 12.5 inches, and doesn’t boast as high a resolution at 2,160 x 1,440 (206 PP). That’s still a higher resolution than most laptops and also provides sharp text and graphics. However, the contrast isn’t nearly as high and the display doesn’t get nearly as bright. Once again, it’s not that the Transformer Pro T304 isn’t a good machine, it’s just that it pales in comparison to the Surface Pro. With better contrast, brightness, and image quality, the Surface Pro maintains Microsoft’s reputation for choosing some excellent screens. The Transformer Pro T304, on the other hand, has more in line with the average machine, meaning the leader wins another round. The Surface Pro is a thin tablet at 8.5-millimeters thick and it weighs a scant 1.73 pounds with the Core i7-7660U installed. That doesn’t leave too much room for a battery, although somehow Microsoft managed to squeeze in a 45 watt-hour battery that’s larger than the ones installed in standard — and thicker — laptops. The Transformer Pro T304 is just the tiniest bit thicker at 8.85 millimeters, and it weighs a touch more at 1.79 pounds. Even so, Asus went with a smaller, 39 watt-hour battery. The result is predictable. 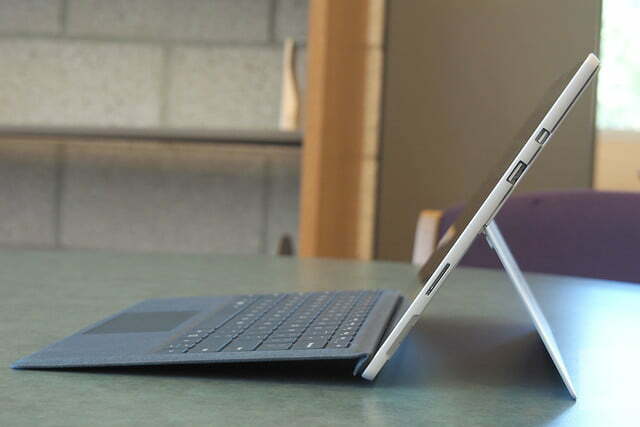 The Surface Pro lasted significantly longer on a single charge than the Transformer Pro T304. For example, the Surface Pro managed to loop a video for more than 10 hours while the Transformer Pro T304 petered out at just under eight. In our more aggressive test that runs through some CPU-intensive webpages, the Surface Pro lasted an hour longer. In short, while they’re both thin and light machines that are easy to toss into a backpack and carry around, only one has a chance to last for a full workday. That’s the Surface Pro, which not only leads the detachable market in battery life but also competes well with some traditional laptops. Not surprisingly, Microsoft’s machine pulls out yet another win. There’s no reason to mince words here: Microsoft Surface machines tend to be expensive, and the Surface Pro is no exception. It might start out at a reasonable price of $800 for a configuration with a seventh-generation Intel Core m3 processor, 4GB of RAM, and a 128GB SSD, but it quickly ramps up from there. The most expensive Surface Pro is a whopping $2,700 for the Core i7, 16GB of RAM, 1TB SSD model. For this comparison, the relevant configuration includes a Core i7-7660U, 8GB of RAM, and a 256GB SSD, and that’s $1,600. But wait, there’s more! The Surface Pro doesn’t include either a Signature Type Cover ($160) or a Surface Pen ($100). 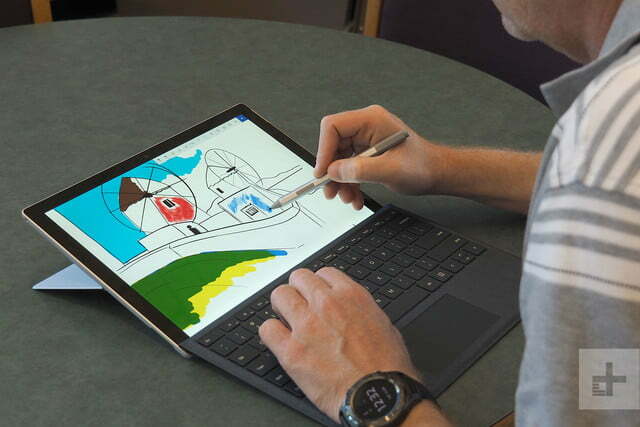 Adding those makes our apples-to-apples Surface Pro configuration a hefty $1,860. Ouch. 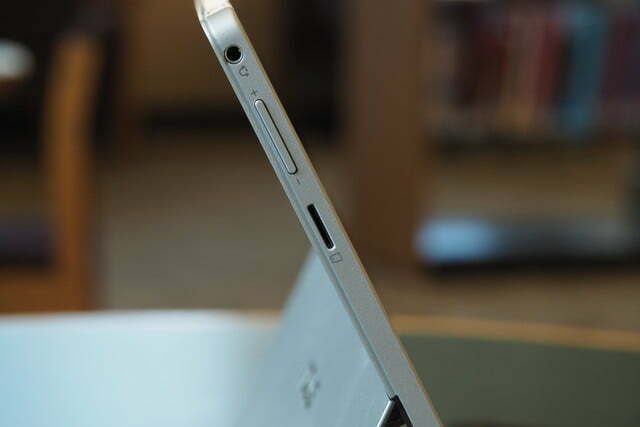 The Asus Transformer Pro T304 is significantly less expensive. As we noted earlier, there are currently only two configurations available at retail. The seventh-generation Core i7-7500U, 8GB of RAM, and a 256GB SSD is $1,000, and there’s a Transformer Pro T304 model exclusive to Costco that ups the system to 16GB of RAM and a 512GB SSD for $1,400 (currently on sale for $1,200). Not only are those prices more down to Earth, but Asus also includes the keyboard and pen. This means that a similarly-configured Transformer Pro T304 is $860 less than a similarly-configured and equipped Surface Pro for most buyers. That’s real money. If you’re a Costco customer, then you’ll save a whopping $1,260 while it’s on sale. The point is that Asus simply kills Microsoft on price, and while the Transformer Pro T304 hasn’t won many of our head-to-head comparisons, this one is a real doozy. Asus has produced a detachable tablet in the Transformer Pro T304 that isn’t as well-built, as fast, or as long-lasting as Microsoft’s Surface Pro, and its display and pen aren’t as good. 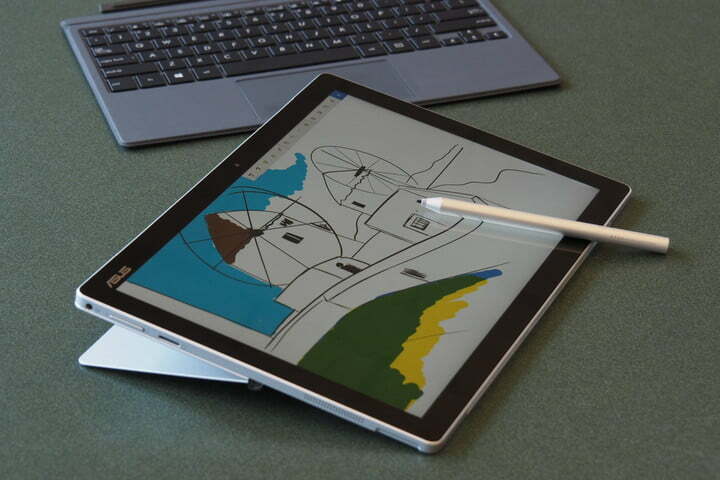 The Transformer Pro T304’s claim to fame is that it’s affordable in a way that the Surface Pro simply is not. Simply put, Microsoft is asking you to pay a lot of money if you want the absolute best. If you have the money, then grab the Surface Pro and don’t look back. And if your budget is less stratospheric, then you can scale down your Surface Pro configuration to the m3 configuration and get the price closer to the Transformer Pro T304. You could also consider the Core i5 configuration that’s a bit more. In either case, you’ll get a machine with much better battery life. It’ll also be fanless — and therefore completely silent — to boot. Our recommendation is to spend more and get the Surface Pro, the best detachable tablet and 2-in-1 available today. If your budget is constrained, and you really want a Windows 10 detachable tablet, then the Asus Transformer Pro T304 is a decent alternative. It will do many of the same things that the Surface Pro will do, while asking you to make some compromises. You’ll need to carry your power adapter around with you more often, and if you’re an artist who needs the absolute most precise and responsive pen input, then you’ll want to steer clear.